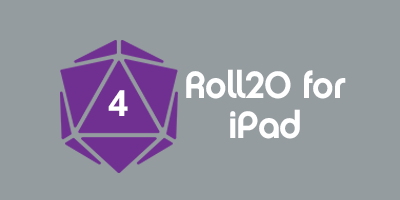 The API Script Index is a listing of community-contributed API scripts that are available for use on Roll20. If you're interested in contributing to the Roll20 API Community Scripts please visit the API GitHub Repository and follow the instructions in the README.md file at the bottom of the page. If your script incorporates specific game system rules, consider listing the script under that game system instead of one of these general purpose categories. Combat scripts assist in making combat flow more easily. This can mean anything from automatically handling initiative to automating exchanges between combatants. Group Initiative -- Adds the selected tokens to the turn order after rolling their initiative + configurable data. Initiative Tracker -- Round counter and status effect manager with optional announcements to chat. Random Turnorder -- Randomly assigns a turn to selected tokens. Turn Marker -- Round counter and a moving marker that shows whose turn it is. Critical -- Quick method of determining the outcome of a critical hit. Fumbler -- Quick method of determining the outcome of a fumble. Tokens are used to represent player characters as well as non-player characters. Naturally, both occasionally get punched around a bit. Scripts in this category deal with the changing conditions of tokens, often but not necessarily as a result of combat. Conditions and Status Tracker -- Tracks the status of tokens and announces them as the duration passes. Mark -- Places a numbered Marker under tokens, clears on turn change/close, and page change. Temp HP and Status -- Temp hit point manager and bloodied/dying/dead status markers. Scripts which are triggered by or change the location of tokens should generally be placed in this category. Auto Teleporting and Chat Based Teleporting -- Teleporting based on text commands or token locations. Change Token Image -- Changes displayed image for tokens based on rollable table. KABOOM -- Creates explosion effects that move tokens away from or towards a point. It's a Trap -- Script for setting traps and detecting collisions with them at any point during movement. Marching Order -- Makes tokens follow each other in some specified order. Move Lighting -- Move dynamic lighting polygon path objects between game layers. Random Depth -- Randomly adjusts the depth of selected tokens. Random Rotate -- Allows the GM to easily rotate all selected tokens to a random angle. Size Lock -- Toggles a state which reverts any size changes automatically. Slide Tokens -- Use an API command to move tokens along a waypoint path, instead of dragging the token and hitting space. Spin Tokens -- Allows the GM to toggle spinning of selected tokens. Table Token Sizer -- Simple script to scale rollable tokens added to the tabletop to a given size (defaults to 3x3) an set them as not drawings. Token Path -- Tracks movement of the token at the top of tracker, displaying its path (and distance traveled) for the round. Token Lock -- Allows GMs to selectively lock the movement of Player Tokens. Twins -- Links two tokens so that they mirror each other across pages. Dynamic lighting is a subscriber feature that changes what parts of the map are visible to the players as they move their tokens around. The light-blocking walls are achieved by paths on the walls layer, and tokens are used as point light sources. Scripts which modify either the light emitted by tokens or the walls which block the light belong in this category. DLEllipseDrawer -- Draw circles and ellipses on the dynamic lighting layer. The Darkness is Closing In -- Example script for reducing light on a token every time it moves. Torch -- A simple script for giving lights to tokens and turning off and on dynamic lighting. Walls -- Builds dynamic lighting walls with an exported SVG path file. ShareVision -- Allows normal vision and darkvision to be shared. The jukebox is a powerful tool for creating immersive gaming experiences. Make it even more powerful. Roll20 Audio Master -- Comprehensive jukebox control script; play, stop, and loop tracks. Adjust volume of tracks. Create, edit, play, stop, loop, and shuffle playlists. Most game systems have some form of equipment to make characters better. While scripts dealing with that equipment may necessarily be system-specific, there are scripts which handle equipment in a more general fashion. Ammo -- Provides inventory management for ammunition stored in an attribute of a character. Ammunition Tracker -- A bunch of commands to track ammunition. Manipulate one or more characters' attributes. Anything that is system-specific should be placed in the system's category below; this section is for system-agnostic attribute manipulation. Conditions -- Track attribute-modifying conditions. Manual Attribute -- Creates a manual copy of an autocalculated field, and assigns it to the bar of a token. ChatSetAttr -- Create, modify, and delete character attributes via chat commands or macros. EasyExperience -- Make awarding experience easy and choose your experience progression. Content generation can extend the reach of your campaign while minimizing the GM's prep time. CharSheet -- Allow players to create their own character sheets. Dungeon Utils -- Generates random dungeons from wall and floor images. Random Dungeon Generator -- Generates random dungeons with geomorphic tiles. Tile -- Create tiled arrays of graphics on the map layer. Token Name Number -- Automatic Numbering of tokens with special placeholder. Scripts which attempt to make the game more immersive belong in this category. Animation -- Create and display animations. Language Script -- A script for auto converting text to elven or dwarven. Scripts in this category are a bit more meta than the ones listed above. These scripts assist with Roll20 itself more than they assist the game you're playing. API Heart Beat -- Provides an API Heartbeat by setting the requesting player's color continuously. cron -- Schedule (possibly recurring) commands to run at some point in the future. DupCharToken -- Duplicate and add identifying number to Character and Token. emas -- Provides player !emas and !as commands. Extended Expressions -- Extended roll expression syntax, supporting conditionals, variable references, bitwise operators, and more. HiddenRolls -- Various types of roll hiding (unmodified roll only, final result only, only show to GM). Is Greater -- Trivial little script to check if the first value is greater than the second and report it to chat. Map Lock -- Provides locking of graphics to prevent moving/resizing/rotating them. Also highlighting. Measure -- Measure distances between multiple tokens, both from the corners and the center. Message of the Day -- Greets players that log in with the contents of a particular note. Move Players -- Allows macros to move the player ribbon for players. MapChange -- Provides an easy and user friendly way to move players between maps. Object Properties -- Get and set properties of API objects. Page Navigator -- Easily move players from page to page, and allow players to move to pages by moving their tokens. Page Size -- Resizes page, optionally moving and/or scaling its contents. RollStats -- Track and display roll statistics. StateBrowser -- View/modify the contents of the state object. Table Export -- A script for exporting Rollable Tables between accounts. Token Mod -- An interface to adjusting properties of a token from a macro or the chat area. TruePageCopy -- Duplicate page graphics by chat command, or with the Duplicate Page button. Customizable Roll Listener -- Customizable responses to API or non API chat messages. Scripts that deal with specific rules of a game system should be listed in a sub-heading here. If the appropriate game system is not listed, feel free to create the appropriate heading. Scripts under each system below may be designed for any use (in other words, had they been system-agnostic, they might fit under any of the sub-headings in the "General Purpose Scripts" section above). Escalation -- Simple Escalation Die handling script, using the new custom entries with formulae. Fifth Edition stress die roller -- Roll a stress die with automated printout, with or without modifiers. Botch dice count can be changed in both versions. Dice -- Rolls the Bash UE Dice format with exploding. Cypher System Sheet -- Enables the applying of stat cost, recovery roll advance, auto calculation of PC state and damage track in the Cypher System Sheet, from the roll template or sheet buttons, for both the "English" and "French" versions. The "d6 System" includes a number of games from West End Games which utilize the same (or very similar) game mechanics. Scripts which are more specific to a single game than the system as a whole should be categorized there. Wild Dice -- Implements the Wild Dice rolling mechanic. The "d20 System" includes Dungeons & Dragons and the games it spawned which utilize the same (or very similar) game mechanics. Scripts which are more specific to D&D or one of its spinoffs than the system as a whole should be categorized there. Monster Hit Dice -- Set Monster hit points from hit dice on add, usually via drag from journal. Dice in the Vineyard -- Dice tracker for Dogs in the Vineyard. Stacks poker-chip-styled roll tokens in defined areas for characters to spend. Use Power -- A script for instrumenting and tracking the use of encounter and daily powers. Greyhawk Initiative -- Supports the use of Greyhawk Initiative from Wizards of the Coast's Unearthed Arcana. Earthdawn (FASA Official) -- A companion to the Earthdawn (FASA Official) and 1879 (FASA Official) character sheets, this provides many features such as automatically creating token actions and helping with accounting, calculating Target Numbers and checking for number of successes, Etc. Successes -- reports successes for d10 rolls per Exalted rules. exaltScript -- Adds general utility and automation to Exalted 3rd Edition campaigns. Fate Dots -- Provides numbered multi dots for Fate stress boxes. This includes Champions, Star HERO, Fantasy HERO, Traveller HERO, etc. Cypher Roller -- Script to automatically roll Cyphers in Numenera, with full descriptions. Numenera Natha -- Adds Numenera rolls and character update functions to the Natha's Numenera character sheets: "Numenera (tabbed)" and "Numenera (French)". SR-RollExtender -- Deals with Shadowrun specific rules like glitches and extended rolls. GUMSHOE -- A point-spending script for GUMSHOE games. Integrates with supporting character sheets. Track V20 Attributes -- Track character Disciplines, Paths, and Backgrounds for use with macros and other scripts. WFRP4e -- Oops!, Critical Hit Location, and Critical Hit result support for Warhammer Fantasy 4th Edition. These scripts are generally not intended to be used alone, but are often instead required by some of the above scripts. Alone, these scripts will not do anything for your campaign, but rather they create functions to be used by other scripts. Command Shell -- Framework for marshalling chat commands with POSIX-shell-style arguments, permissions, and duplicate-command checking. Extended Syntax Roll20 Objects -- Wraps objects to extend their functionality. GM Code -- Generates a unique code to authenticate the GM. IsGM Auth Module -- Provides a function isGM() for determining if a player id refers to a gm. Intended for use alongside other scripts. Token Collisions -- A library for detecting collisions among tokens during movement. Vector Math -- A library for vector mathematics. PowerCards -- Create nicely formatted output cards for attacks, spells, and other abilities. PowerCards Macro Helper -- Support the automatic generation of PowerCards for 5E OGL character sheet actions. Roll20 wants to give special thanks to Brian and Aaron C. M. for their contributions to the community and this API script index. This page was last modified on 17 April 2019, at 16:08. This page has been accessed 213,953 times.